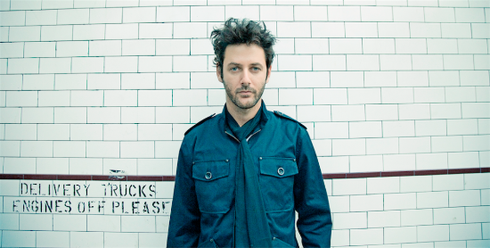 Before Israeli DJ and producer Guy Gerber began his love affair with synths, Gerber was more interested in British bands like Joy Division and My Bloody Valentine. Despite his move to electronic music, influences of such bands are apparently still evident in the music he produces today. In 2007, Gerber released his debut album ‘Late Bloomers’ on Cocoon Recordings, a record that set the foundations of what was to come. In 2014 Gerber released a collaborative album with one of hip-hop’s biggest star’s Puff Daddy, titled ’11:11’ and his discography includes releases on Bedrock Records, Visionquest and Saw Recordings and more. He’s also earned a top 10 live performer for Resident Advisor three years in a row. Guy aims to shock and surprise and this translates into his live shows as he takes the audience on a journey, often through extended sets. Perhaps the epitome of his DJ career was his 12-hour set at Burning Man. His career has taken various twists and turns. He's launched two labels, Supplement Facts and later Rumors in 2014, the latter of which housed Gerber’s collaborative track ‘No Distance’ with Dixon. He also launched Wisdom of Glove, a weekly event at Ibiza’s Pacha where he held a residency. He later launched Rumors, a club night that began at Pacha Ibiza in 2014 and moved to Destino Ibiza in 2016, the night boasts resident DJs such as Sasha, Audiofly, Dubfire, Lauren Lane and more. The success of Rumors has been so great that they have thrown parties in London, Miami, Mexico and this year it debuted in LA. Gerber’s latest EP ‘Secret Encounters’ is his first solo release on Rumors and is described by him as ‘dark, enigmatic house and techno’. This year, Gerber has travelled the world touring festivals and clubs alike and he's set to continue with dates in Australia and Bali throughout December and into the New Year. Having read this I believed it was really enlightening. I appreciate you taking the time and energy to put this information together. I once again find myself spending a significant amount of time both reading and commenting. But so what, it was still worth it! What's up mates, how is the whole thing, and what you desire to say on the topic of this paragraph, in my view its really amazing for me. Hi to all, it's really a good for me to pay a quick visit this website, it contains helpful Information.